Because of the internet, more jobs are available to all people including the disabled. I will give a list of work at home jobs for the disabled on this web page that are the type of jobs that everyone can do. No longer will you have to leave your home for training or supplies to work at your new job. All you will need is a computer and an internet connection. No matter how many jobs are available for those with disabilities there are still many which are inaccessible and even some of the ones that are available are difficult to perform. But there are several jobs that anyone can do regardless if you are disabled or not. Other than a computer and the internet, your brain is all you need for the types of jobs I will be listing here. Everything about these jobs, the training, the resources, the product, the recruitment, the branding, and the payments can be all done online. Think about that. No having to worry about how you will get to work or going out in that yucky weather when you would rather stay home. If you live in an area that gets a lot of snow in the winter time, stay all warm indoors with a cup of hot chocolate and work your day. Do not be fooled by those online scammers that will tell you that you can make thousands of dollars a week because frankly, there is no such thing, at least not within the first few years of starting a new business. Yes, eventually after many years of hard work that can happen, but it is not a guarantee nor will it happen right away. In order to be successful in any business you have to work at it, even the easy ones. There is no type of work online that will make you wealthy without you working towards your goal of financial independence. So without further ado, let me list some of the work at home jobs that are just as good for those with disabilities as they are for anybody. What kind of jobs can I do from home? Do you have a creative mind, do you like to tell stories, do you like to watch movies and comment on it, do you like to read, do you like to write, or do you like a particular product that you think others will enjoy too? All of these things and thousands more you can leverage and turn it into a business you operate on your computer at home. How? 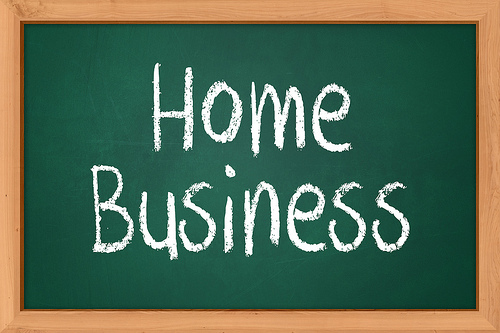 By creating a specific niche business around which ever you are the most passionate about. And you do not have to be limited to doing just one. You can do as many as you feel comfortable doing, though I would suggest you start off with just one and then expand to more once the first one is up and running. The easiest way to accomplish these jobs is to have your own website and/or blog because many of the jobs will require it and for those that don’t, your own website will act as your online resume/portfolio. Here are some legitimate jobs from home that you can do with your own website. All of the above can be done from the comfort of your home. Though the majority of them will require you to have your own website and blog, it is extremely easy and inexpensive to obtain (see below). There are a couple of jobs listed above that do not require a website. However having your own WordPress website and blog opens up so many possibilities for types of online jobs at home that you can do. Plus when applying for any type of job that requires either writing or website creation and services, your potential customers or employers will want to see samples of your work. Having a website and blog are great ways to accomplish that. 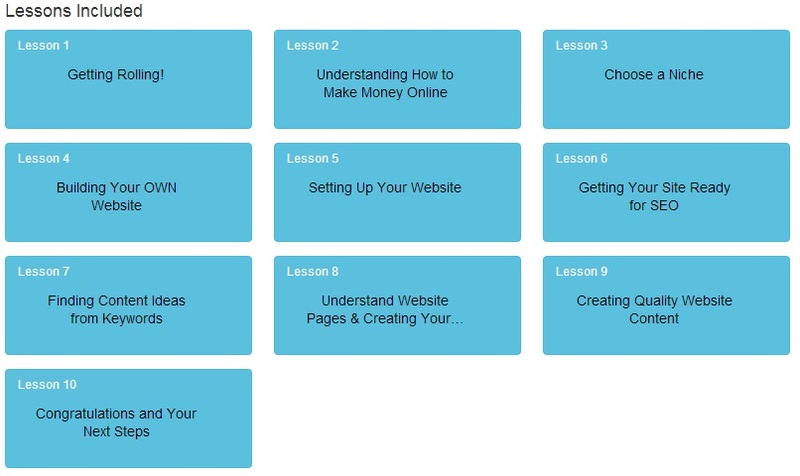 The easiest and most inexpensive way to learn how to effectively create a WordPress website from scratch is at the Top Rated Online Training Community on the internet known as Wealthy Affiliate. They are recognized the world over with 190,000+ members from every continent on the planet. 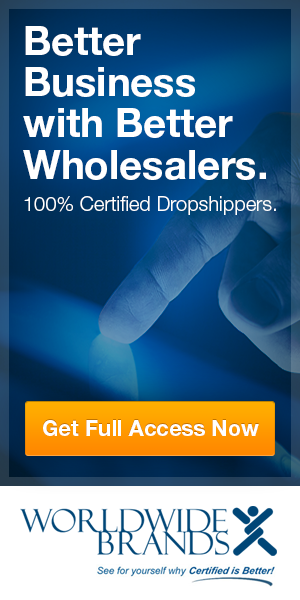 You can and will learn the most up-to-date training in website design from Wealthy Affiliate because their training is given by established Internet Marketers with over 10 years of experience. Their training is very easy to master for the complete newbie like I was a little more than a year ago. 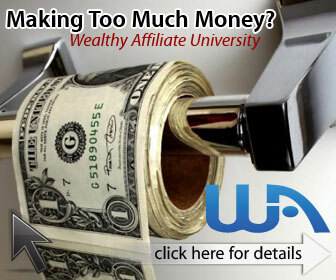 If you want to know everything about how to make money from home on the internet, Wealthy Affiliate is my #1 recommended solution. If you would like to know more, then read and watch the video on the review page I have on this website, see the last link below. You will get to see the kind of college-like education you can receive for very little money. In fact you can start with the first 10 lessons, as seen in the picture above, and 2 websites for free. More and more people both disabled and not are working from their homes every single day and Wealthy Affiliate has trained close to 200,000 of them. The training is easy, building a website and blog takes less than a minute – yes you read that correctly – and the one-on-one coaching and support by the entire community of members is un-matched anywhere. Now it is your turn to take action and make a new life for yourself online, making money at the same time as you learn. Go and read The Wealthy Affiliate Review and you will see how your future will change for the better. It is 100% Free to join, no credit card required. If you have any questions or comments, please leave them below. Thank you! Thanks Julian! Please share my post with anyone that you feel can benefit from it. Thank you for your comment. I work with disabled individuals and it is really good to see people like yourself reaching out to offer support and a way of increasing independence and self worth. Thank you Rich. The nice thing about being able to make a living on the internet is that you don’t have to leave home to go to work. For most people this is not a problem. 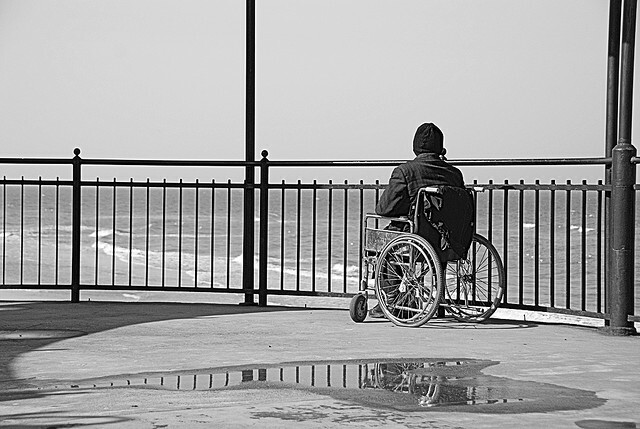 But for those who are disabled, leaving the comforting confines of their home can be problematic. Now that it is possible to make a living working from home, people who are disabled have a level playing field when it comes to job creation. 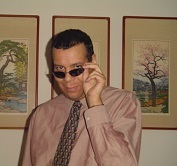 I hope my article helps those who are disabled to realize that ability.